Imagine what it would be like to travel the world and interact with people from all kinds of different counties and cultures. What could you learn about being followers of Jesus along the way? Or, what if you could sit down for a few hours with a businessman and Christian who had spent time in dozens countries over the past 25 years? What insight do you think he would give you? Author and self-proclaimed “serial entrepreneur” Ron DeMiglio was involved in the coffee industry, starting more than 300 shops in 47 countries around the world—no, not for that large, global chain. In fact, he was starting shops overseas before most of the coffee scene had expanded outside U.S. We caught up with the world traveler, who recently sold his last international business interest and wrote his first book. Ron was born and raised in the Seattle area. He says that great life transformation began just after the end of a less-than-stellar high school career. “I jumped on a Greyhound bus, and my grand plan was to become a stuntman in Hollywood,” he says. It took just one night sleeping in a doorway for Ron to figure out that his plan might have a few holes. Ron says it was not easy at first, but the process led him to a point of decision: “I was either going to knowingly walk away from this, or I was going to going to follow Jesus,” he says. A year and a half after leaving, Ron came back to the Pacific Northwest as a follower of Jesus. God also led Ron to a job at a log-home business that sold to the Asian market. There, he formed business partnerships that would prove valuable when he had to leave that company in the early 1980s. A friend asked Ron what he would like to do next. “The coffee thing had just been budding, but I had this feeling that this was going to have some legs. So I told [my friend] about it,” Ron says. That shop was the first of many others, from Seoul, Korea, to the Mediterranean island of Cyprus. The experience would be more than a way for Ron to make a living—it became his “graduate school” with God. For example, Ron asked a business partner from Asia to meet him in Seattle. Unfortunately, the only frame of reference that this business partner had was fast-food chain Wienerschnitzel—he had a great love for chili-cheese dogs. This taught Ron about point of reference. He says that this simple exchange led him to understand how to introduce Jesus into his conversations, especially with unbelievers. Some of Ron’s encounters ended rather comically, while others were more serious—like the conversation he had with an Islamic man in Istanbul, Turkey, which led to a frank discussion about Jesus. Ron says that the man did not immediately respond, but months later, “I received an email saying that he wanted to thank me for my conversation and that he had been spending time looking at the historical data regarding the death, burial and resurrection of Jesus Christ—and it was making sense to him.” Ron does not know where the man’s faith is today, but he certainly planted the seeds. According to Ron, although he wrote his experiences down, he didn’t originally intend to publish a book. “It was a way to establish a spiritual discipline, and for me to get those really important moments down on paper,” he says. He started by putting his thoughts in a blog that he had no idea if anyone read. The blog caught the attention of an author and long-time friend, James L. Rubart, who thought that the pieces really insightful. 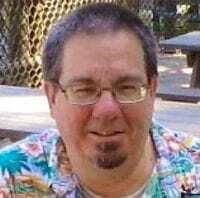 “He [Rubart], behind the scenes, conspired with my wife to buy me a birthday present: a trip to the Mount Hermon Christian Writers Conference [in Santa Cruz, California],” Ron says. Ron attended and shared his work. He ended up with three agency offers and interest from two publishers. Each chapter in the book ends with the phrase “shun common,” and every experience that Ron shares is a challenge for Christians to do just that. 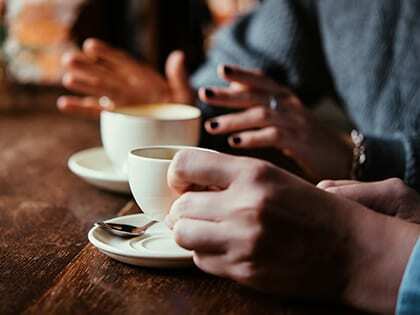 He says he hopes people will begin to see that sharing the gospel can be as simple as a conversation over coffee—and that walking closely with Jesus can be the greatest adventure. Learn more about Ron at RonDeMiglio.com, and click here to order the book on Amazon.com.